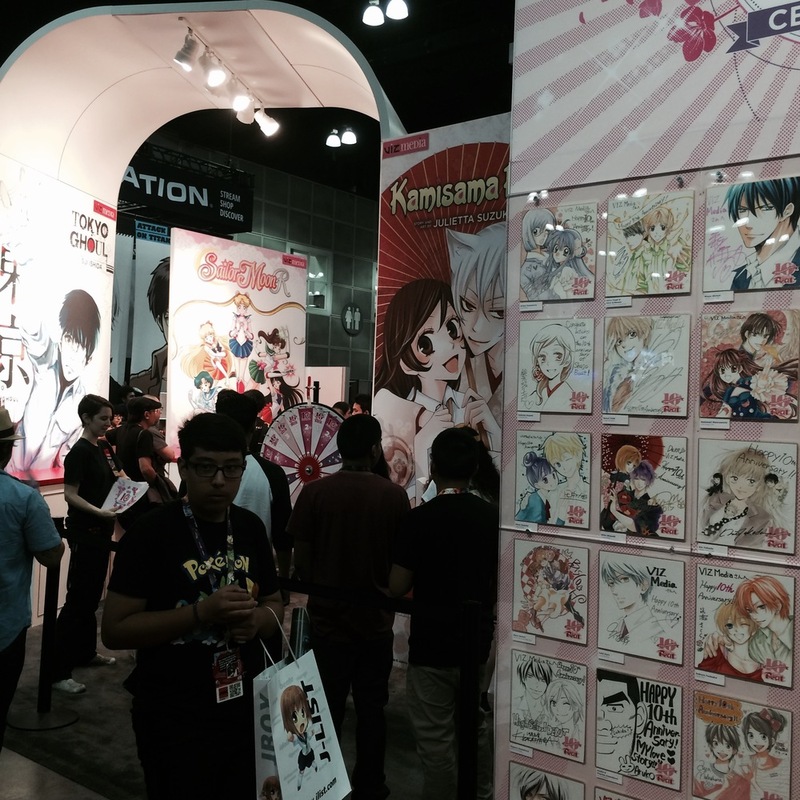 This weekend, I had the opportunity to go to Anime Expo, also known as North America's largest anime convention! It's been a long time since I saw an anime convention floor. In high school, I had the unique experience of trying to explain to a Princeton rep the value of being anime club president and hanging with some of the coolest people ever. But it's been a long time since I saw an anime series. Anyway, with a press pass from work, I dove in headfirst. I saw lots of things. I saw crowds. That guy waiting looks kind of pissed. I saw lots of people waiting at lots of booths for free stuff, people playing ocarinas, people selling pictures, and cosplayers. Of course, even though I've been an anime prodigal daughter, I still enjoyed seeing all the venders, panelists, and cosplayers. 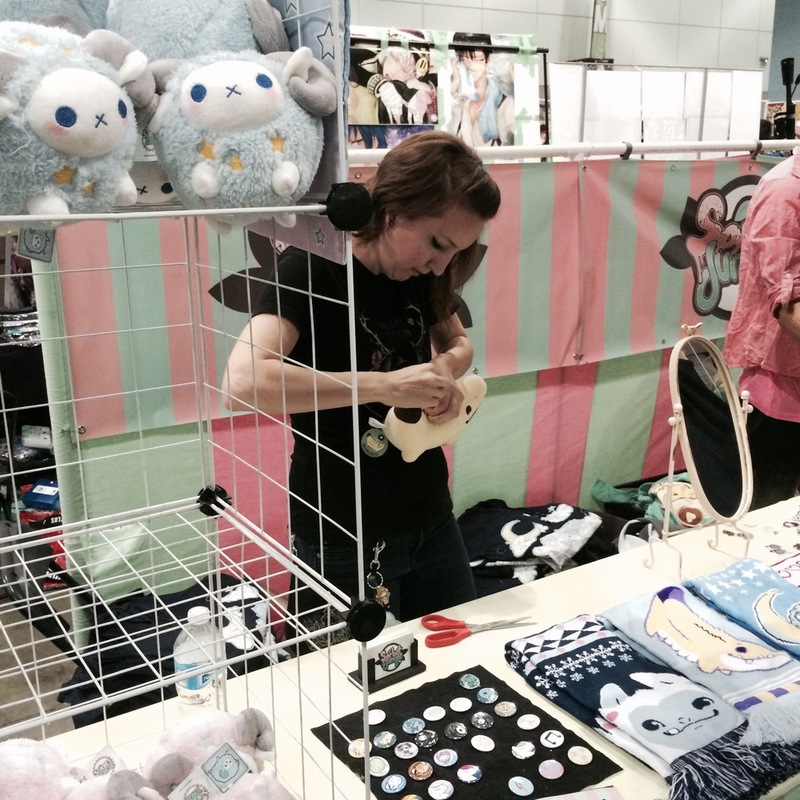 I really enjoyed going around the Artists' Alley, which was huge. A+, Anime Expo. 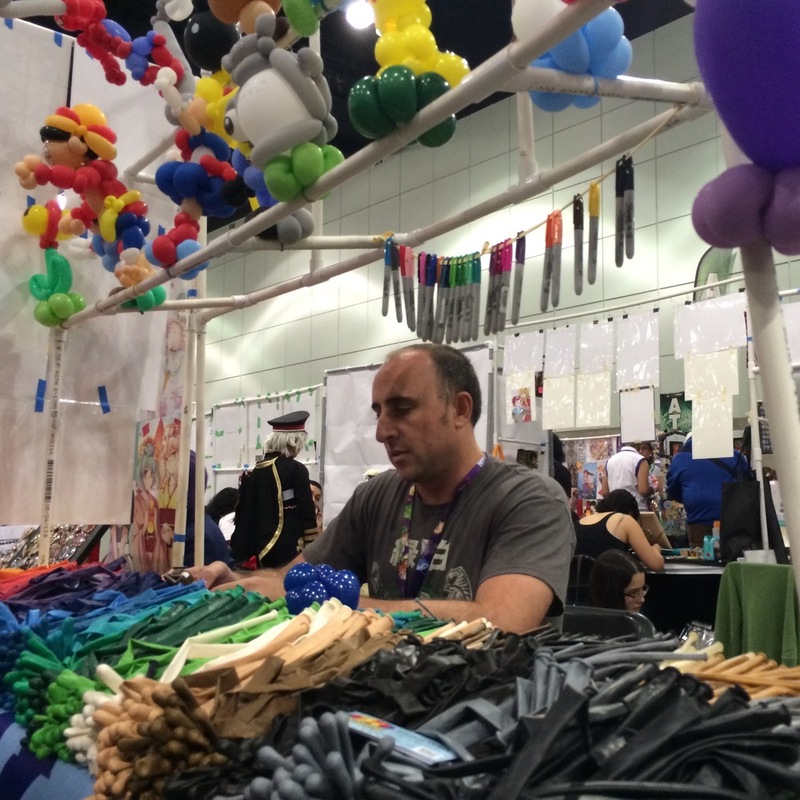 I took it upon myself to look over every booth, and there are a lot of booths, and on my first day, I decided that I was most interested in the people who were not selling fanart, and people selling things other than pictures. Artists in the alley are talented superfans, but I got excited by people sharing their own creations with the world. Since writing The Princess and the Fox Demon, I've become the person who gets sent pictures of foxes, socks, and links to foxy things. Foxes are not even my favorite animal, but because of Chirikai, I've become this strange receiver of foxes. 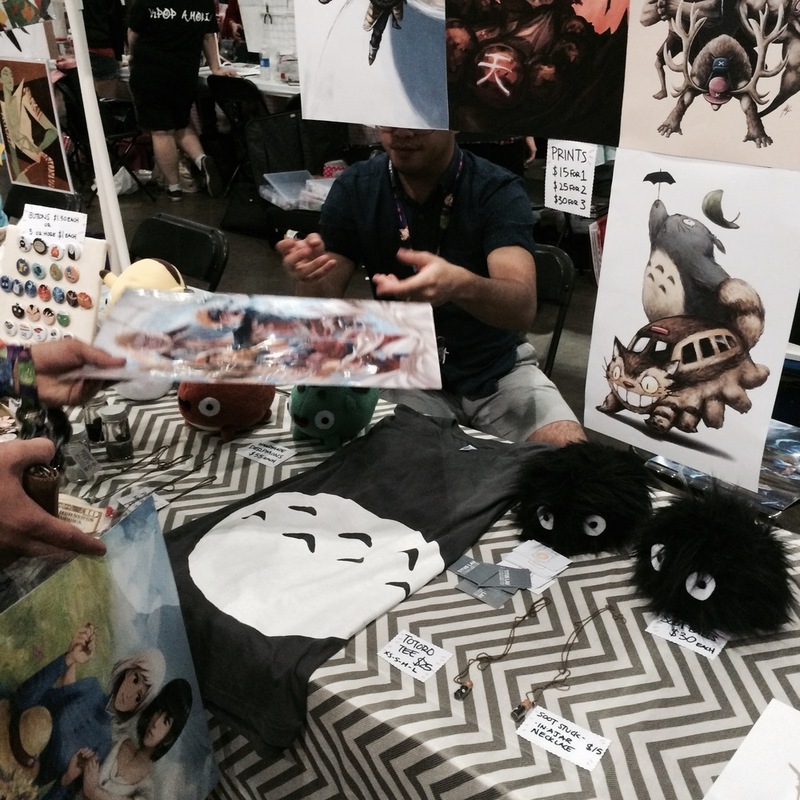 So, I naturally stopped to talk with Emily Chan, who ran a table dedicated to "StupidFox." "It came out of being bored in high school classes," she said as I asked what inspired the character. She doodled in notes and eventually started comic strips. Now she is surrounded by bright orange plushes. Alexander Lee's table was dominated by his own creation too. Blue Cat Cafe is an online comic strip series about a girl who works at a (cat) cafe and takes up online dating, only to discover one of her nerdy patrons is her romantic online fellow. Lee sold all kinds of high quality prints, books, puzzles, mirrors, and bags with his designs. It stood out for being mostly done in ink and watercolor amidst countless tables of non-traditional art. Alice Roy makes bath bombs. They smelled nice. And even better, there was a set of Pokeballs, each with a plastic toy in the middle for when the bath bomb dissolves. "I really liked bath bombs," said Alice, "but there weren't any nerdy bath bombs. Like, I searched everywhere and I could not find anything..."
Another girl at the table pursuing the offerings chimed in. "Bath bombs are good for you, right?" "Sometimes," continued the girl, "I worry that if I get them on my body, am I going to have body problems afterwards?" "No, I keep the ingredient list as short as possible. Just baking soda, citric acid, and grapeseed oil and fragrance oil. All the colors are water soluable too, so they won't stain your skin or your towel." More women hurried over to the table. I ask her how long she's been making the bath bombs. "About two years. It took me six months to really get started because it took me a while to learn how to make them. There are so many different recipes. Some won't stick together, but I realized too that you make the bath bombs in a mold..." She points to the Pokeball series. "These were the first ones I made. 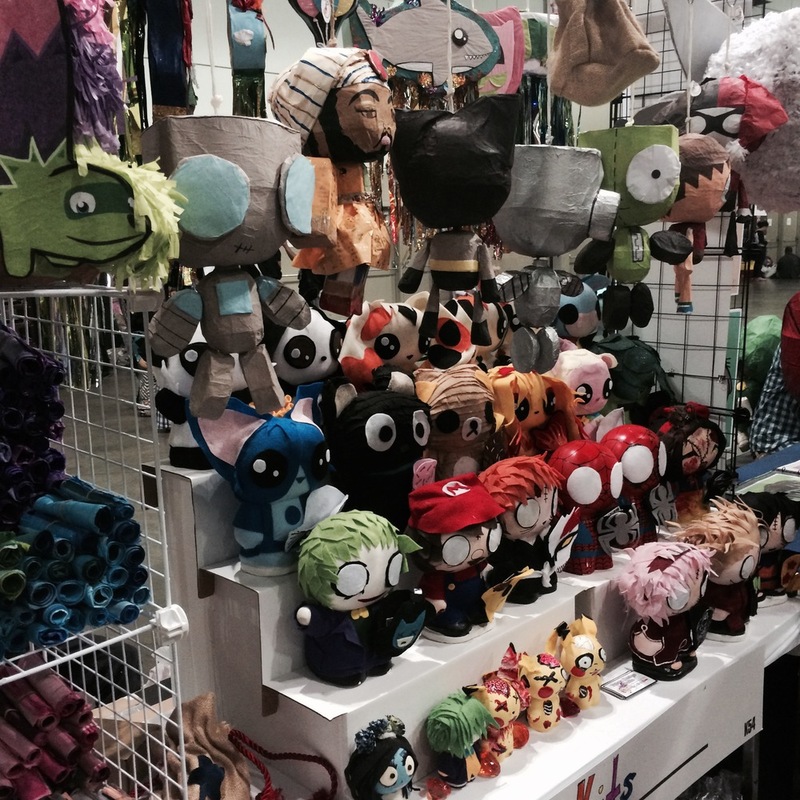 I actually started with an Indiegogo campaign, and they did so well that I... I love making these." "They're literally divine," shouted a happy onlooker. What sort of nerdy goods would you like to buy? Comments are love. Click to the little gray heart and make it blush.